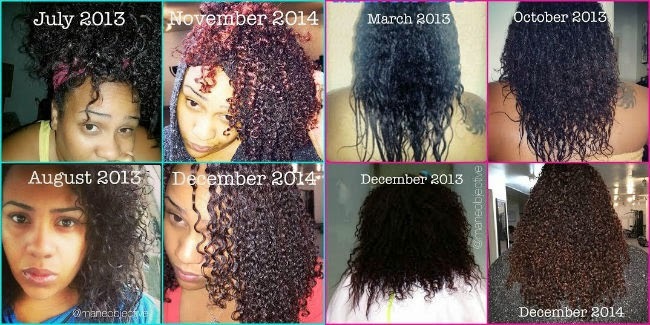 Are you tired of relaxing, chasing your kinks away with a flat iron, or just ready for a change? Congratulations, you're on your way to joining #TeamNatural! But before you take the plunge, you need to decide -- are you going to big chop or transition? If you're eager for change ASAP, or your hair is severely damaged, you're likely to opt for the big chop. But if you're like I was, and are not ready to part with your length, transitioning is most certainly an option. Big Chop: Cutting off all straightened, damaged, or relaxed hair into a short fade or TWA (teeny weeny afro). The big chop allows ladies to begin their natural hair journey from the ground floor, caring for and styling only the natural hair that grows from the scalp. Transition(ing): Gradually growing out straightened, damaged, or relaxed hair. Transitioners make the conscious decision to stop the practices that got their hair into the position that it's currently in. Transitioners coddle along both natural and damaged tresses, growing out the hair until they are ready to cut the ends off. One method is not superior to another, it ultimately is a matter of circumstance and preference. I transitioned because I was uncomfortable with the idea of growing out big chopped hair. There are plenty of resources available to support big choppers (here is a great place to start), but today I'd like to chat with all the ladies considering a transition. Once you've made up your mind that you're going to transition, there are 4 things that you're going to need to do in order to make it a successful one. This is not to say that you won't make mistakes or get frustrated, but rather that those hiccups won't derail your journey to healthy hair. Ready to start your journey? Click here to read the rest of the article at NaturallyCurly.com!